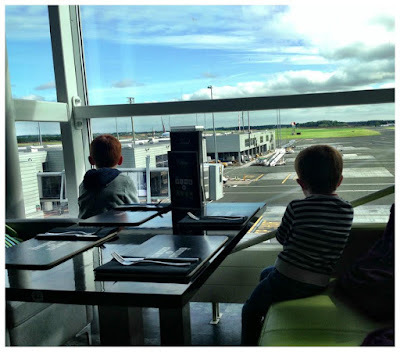 Long haul plane journeys can be a daunting event when travelling with children, so pack wisely and prepare for every eventuality. Pack lots of their favourite snacks (the less e-numbers the better! ), a couple of new toys to keep them busy and have boiled sweets at the ready for take-off and landing to ease the change in air pressure and prevent those popping ears! Another good tip is to hide one of their favourite games a few weeks before travelling and re-introduce it on the plane. I would also add pack lots of wet wipes and a spare t-shirt for everyone (yes even the grown ups). If you are travelling long-haul, booking an airport lounge is a great way to pass the time and avoid the hustle and bustle. Hot meals, snacks, drinks, and free Wi-Fi are all included in the price and they often feature kids play areas and offer more space. The longer children are running around in the departure lounge, the more energy they will burn, meaning (hopefully) more sleep on the plane. Remember, should children fall asleep, ensure that their seatbelts are fastened over any blankets or clothing to avoid being disturbed when the “Fasten Seatbelt” sign is turned on. Find out in advance exactly what facilities the hotel offers in terms of baby equipment. 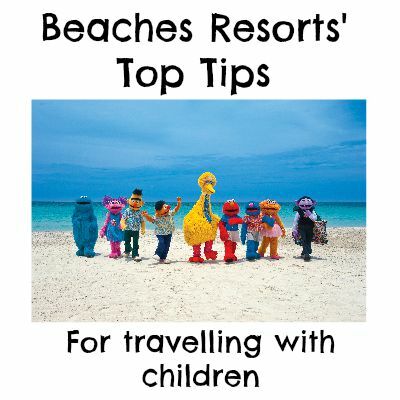 Some hotels can arrange for baby baths, bottle warmers and sterilising kits to be made available in your room to help lighten the load when travelling. This is also a fantastic way to keep within the restrictive baggage allowances to keep costs down. If you aren’t staying on the ground floor, it’s also useful to check if there are lift facilities, especially if you have a pram with you. 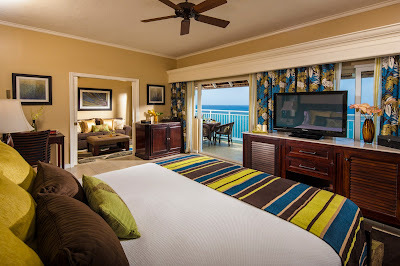 Connecting rooms or suites provide both you and your children with some much needed privacy and space. This is particularly useful with younger ones that require an early bedtime, as it allows you to stay up later without having to tiptoe around in the dark. 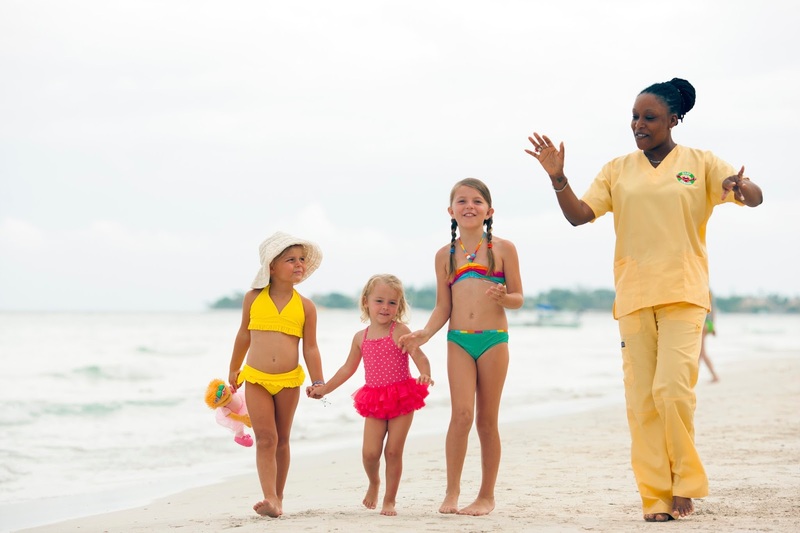 If you do want some quality alone time, check to see if the hotel offers a nanny service. 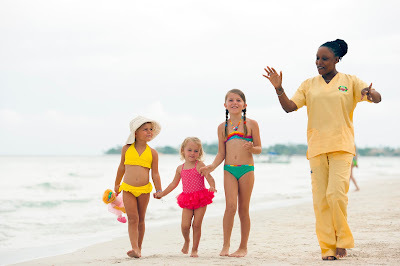 Beaches Resorts offer a round the clock service to give you that extra flexibility, enabling you to stay out a bit later and enjoy some quality kid-free time! If your children aren’t strong swimmers, check for any surprise drops in the shallow water before you let them loose in the sea. Dinner time can be a worry if your children have fussy specific dietary needs or are particularly fussy. Ask if it’s possible to arrange a consultation with a member of the culinary team to go through your dietary requirements so that chefs can make special arrangements where possible. 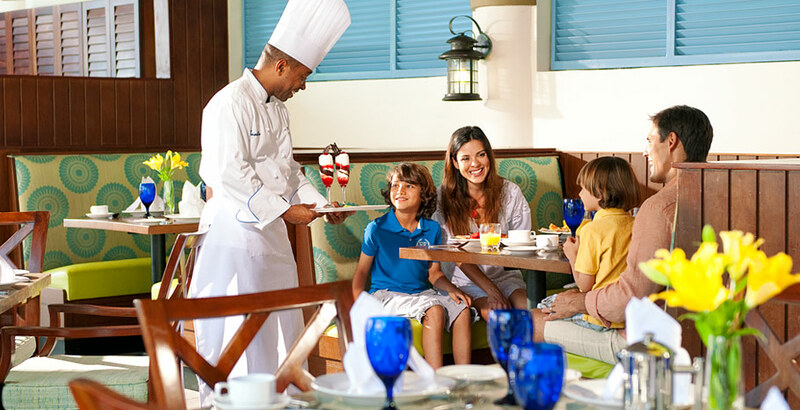 At Beaches Resorts the restaurants even have a menu of milk options, which is particularly helpful for infants with lactose intolerances. With three spectacular locations in Turks & Caicos and Jamaica, and soon a fourth in Barbados and a fifth in Antigua, Beaches Resorts is the ultimate getaway for every member of the family. 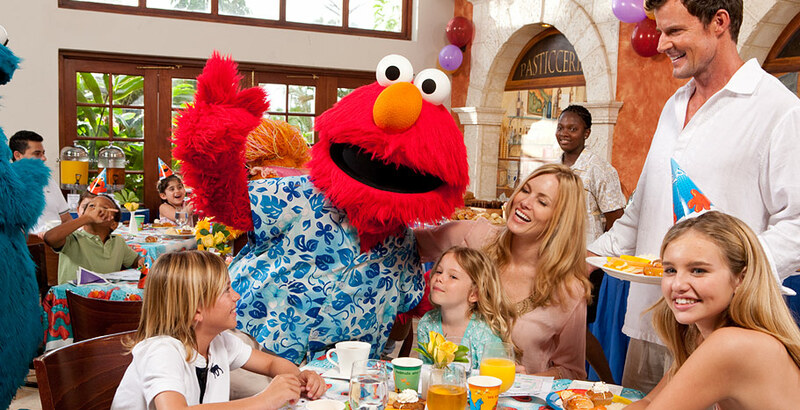 With an array of Luxury Included® (all-inclusive) activities for all ages, including unlimited land and water sports, outrageous waterparks, XBOX® Play Lounges, exclusive Kids Camps and Sesame Street® activities and shows, parents can leave their wallets and cares behind, leaving more time for quality family time in the sun. 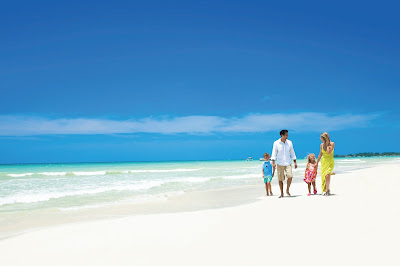 To book or for further information on Beaches Resorts call 0800 597 0002 or visit www.beachesresorts.co.uk. Do you agree with these tips or have any of your own to add? Oh how I'd love to got to Beaches Resort! Great tips, delayed boarding is on my travel tips post too great minds! !